Stickers are available! The price is $6 / 3 stickers. Two designs are being offered for now, more if these sell out quickly. Once there are 4 orders (or 12 stickers sold) of a design it will start shipping. 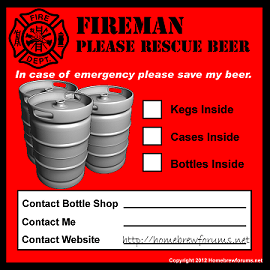 I'm Thinking Beer Sticker Available for Immediate Shipping! Do we order by posting in this thread? Or am I missing a link to the store? I'll take three (3) of both designs. Clicking on the image or the name of the sticker will take you to the marketplace item. I am now registered in the marketplace. I think I will add wicked angel to my schedule. Probably in Jan.
With proper spelling? I'm all set thanks. if you want to buy 15 of them for $30 i'll list the 'alternative' sticker option today. i've updated the OP with the number of sticker packs sold / remaining before shipping begins. If you want those with fixed spelling I can do that, I think I still have that as a Photoshop image somewhere. Tomorrow is payday, if my check is big enough, I'm a buyer! Still need some more takers on the I'm thinking beer stickers so we can get them shipping! Remind me tomorrow. I need to do this while in front of a computer. Done and Done. I think. You better check and see. Stickers are available for pre-order. The price is $6 / 3 stickers. Two designs are being offered for now, more if these sell out quickly. Are these numbers still accurate? yes. while you created an account, i dont show any orders. cool. we still need a few more takers. @frydogbrews ?